Home » Uncategorized » Thank you Petco Foundation! 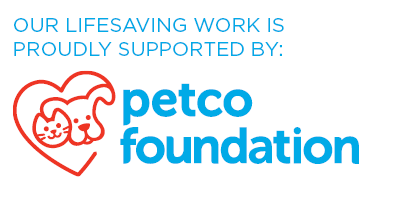 We are so pleased to announce that we have been awarded a $4000 grant from the Petco Foundation to support our efforts to go the extra mile for the animals in our care, so we can be a lifesaver for animals with special medical needs. Over 70% of the animals we save each year are from our local Vermont communities. Over 40% of the animals who come to us require special medical care before adoption. Support from our community and generous grants like this make it possible for us to go the extra mile for every animal in our care. Thank you!